A talented tennis player and pupil at King Edward’s School, has achieved victory with the England under-12s at the Four Nations Junior Championships 2018. Twelve-year-old Max Walker was one of only two boys selected to play for the England under-12s team in the round robin singles and doubles competition held in Belfast from 7 to 9 September. The England under-12s beat players from Wales, Scotland and Ireland to win their age group championship with England finishing as overall runners-up across the three categories of U12, U14 and U18. On securing his first win for England, Max said: “I really enjoyed it. The best part was when I played a match against one of the Irish players, and I knew that if I won then we would win the under-12s. It was a very close match, but it was a great feeling when I won. 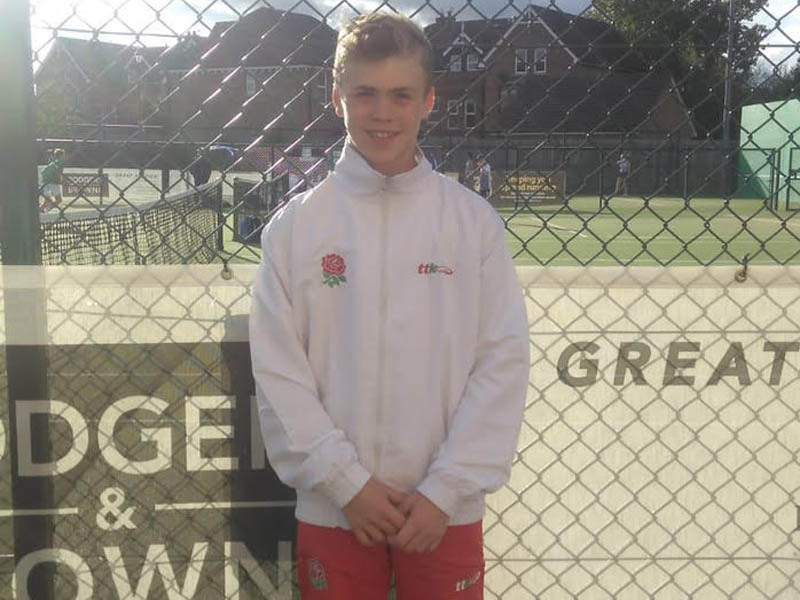 Following a successful season in national competitions and a further victory at the Midlands Winter County Tour U16s competition at Weoley Hill Tennis Club on 16 September, Max is currently ranked number two in the country for his age group. The Year 8 pupil also regularly plays for the King Edward’s School tennis teams, including against older opponents, and will be taking part in the Aegon Regional Schools Tennis Championships at Twycross House School later this month. Simon Tinley, head of tennis at King Edward’s, said: “Not only is Max a very talented tennis player, but he also has a good temperament. I think with his talent he should definitely be aiming for Junior Wimbledon. The Four Nations Junior Tennis Championships brings together the best junior players from England, Ireland, Scotland and Wales, who are supported by experienced coaches and former players in the role of non-playing captains. The 2018 Championships were hosted by Tennis Ireland at the CIYMS Tennis Club in Belfast and were overseen by George Stevenson MBE.